Seeing the movie piqued my interest in the man and his music. I knew that if he were to ever go on tour and stop in Salt Lake City, I would go. Please note that most of these pictures are blurry because I couldn’t hold the camera steady. Because my arms were stretched high above my head. Because I’m 58 inches tall. Which, on average, is a lot of inches shorter than other people. 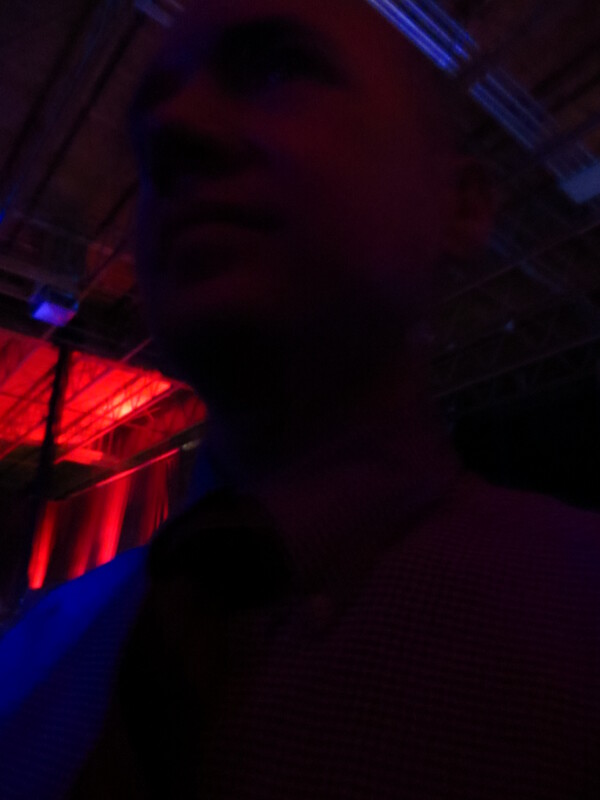 My concert buddy looks good in a soft red glow. Doors opened at 8. The opening act began at 9. 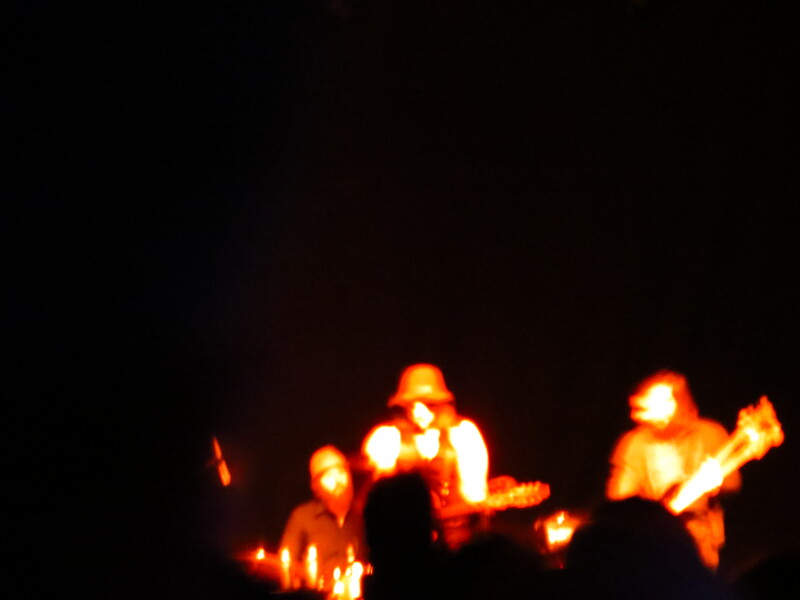 The opening act wasn’t awesome. 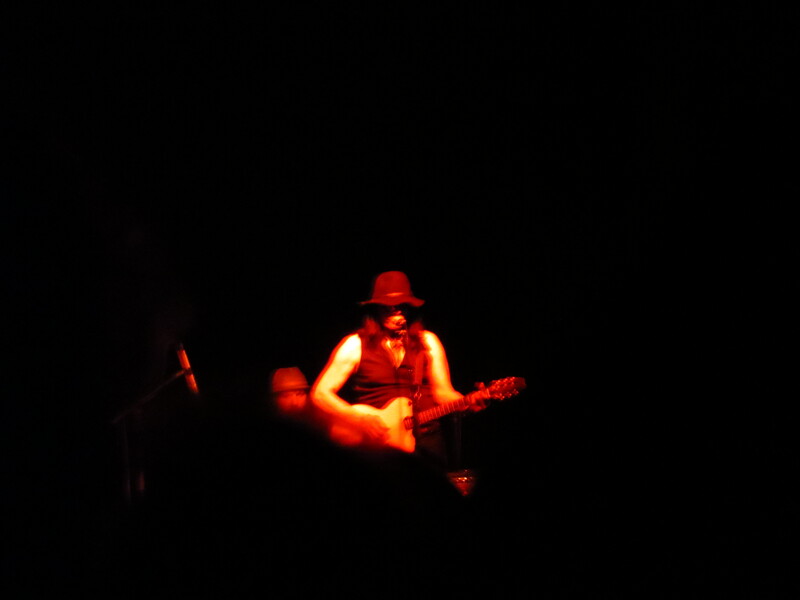 She performed for 30 minutes, and she seemed aware of her role to occupy spacetime until Rodriguez took the stage. Also, for some reason I wore my Chacos, and I guess I haven’t completely broken them in, so my feet hurt while standing for four hours even though I thought the Chacos would be comfortable because people hike all day in them and they go on about how wonderful their Chacos are. Irrelevant to the music, but part of my experience. A tiny part. If you’ve seen the movie or listened to his music, his live singing sounds exactly like that. The quality of his voice hasn’t changed since the ’70s, and it’s no wonder that South Africa loved him so much even though the United States had no idea who he was even though he’s from an actual state in this country called Michigan. 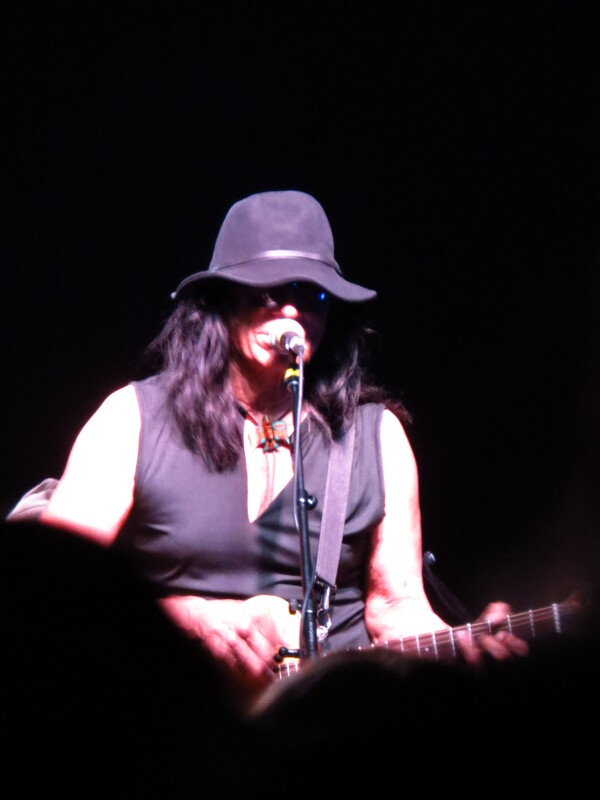 Once he sang “Sugar Man” about 1/3 of the crowd left. A lot of them were people who saw the movie. A documentary. Who watches mostly documentaries? People older than 50? It was late, though, and even I was getting tired. He sang for about an hour and a half. He came out for a short encore, and he was as gracious and humble a person as you ever saw. The real deal.